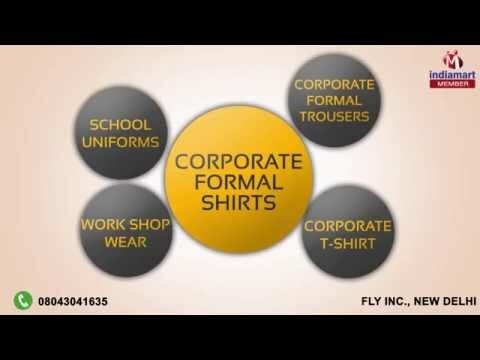 Welcome to Fly Inc., established in the year 2014, we are the leading manufacturer and supplier of Uniform for all sectors. In this range, we offer School Uniform, Work Shop Wear, Corporate Formal Shirts and other products. Offered collection is manufactured from premium quality fabric and other components as per the modern market trends and developments. These products are manufactured under the assistance of our domain experts strictly as per the laid industry norms and standards. Offered products are highly appreciated and demanded by our customers for their perfect stitching, unmatched quality and colorfastness. We always being in close proximity with our valuable customers and add their feedback with utmost consideration. From our side constant innovation in product designing is maintained to assure high level of satisfaction, aesthetics and features in the offered range. Also, all our professionals and management team helps us in a best possible way to operate our business operations in a smooth and hassle free manner.